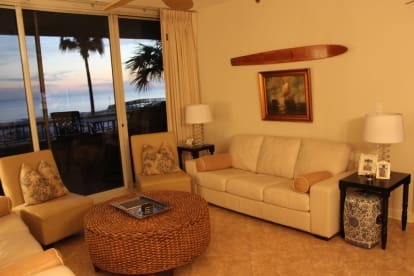 Since our first visit to the Beach Club we fell in love with the property and have since purchased a second unit. We are happy to share our personal retreat with you and your family. You will see when you enter the unit that we care for it . We live in a suburb of Nashville, Tennessee, have two grown children and have been married for over 45 years. We welcome your feedback on your visits! Thanks for considering our Catalina or Doral unit. We have always wanted a place at the beach and always thought it would be in the Destin, FL area. During our searching we took a day trip from Florida to visit some properties in Orange Beach but our realtor took off in the opposite direction from Orange Beach and ended up at the Beach Club - we ended up making an offer on the first unit we visited - in the Catalina tower and loved it so much we bought a second in the tower, Doral. We fell in love with the resort as we're sure you will too. 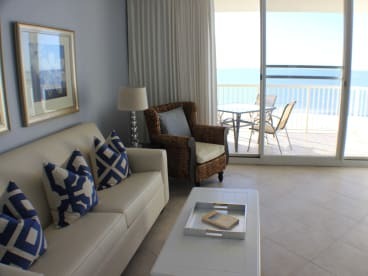 The Beach Club is the perfect place for relaxation but it is in driving distance to many of the popular tourist attractions but we're not in the midst of them. The only large condo complex in this part of the peninsula gives you a remote feeling - away from the business of Gulf Shores and Orange Beach.